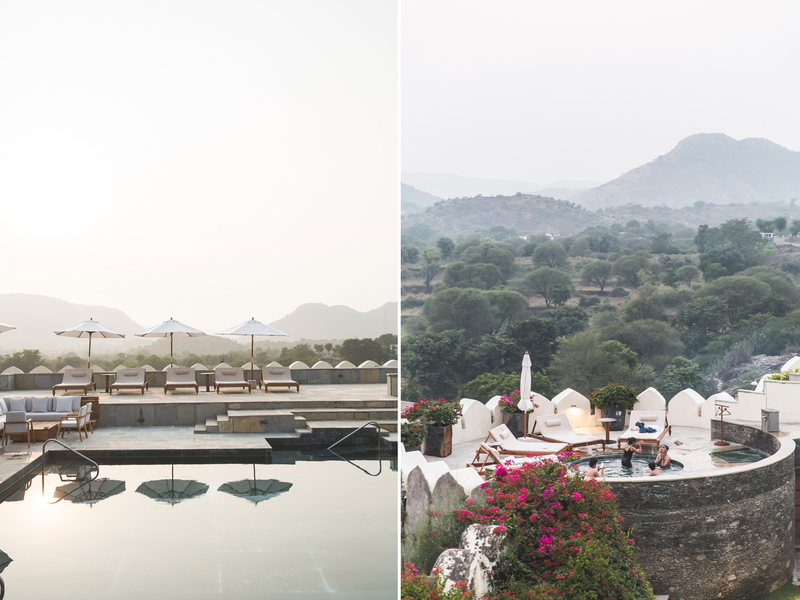 Arriving at this property during a magical sunset with rose petals that were thrown upon us while entering took my breath away and made this the perfect honeymoon destination. 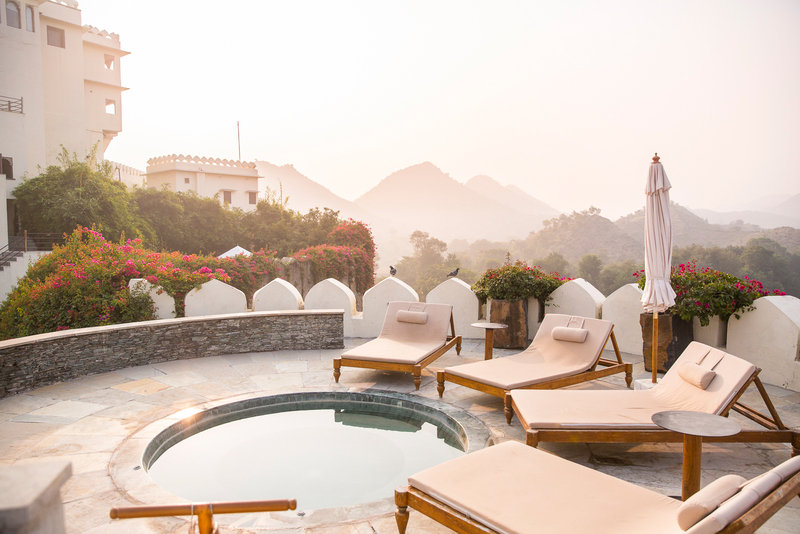 Also suitable as a very relaxed and pampering getaway. 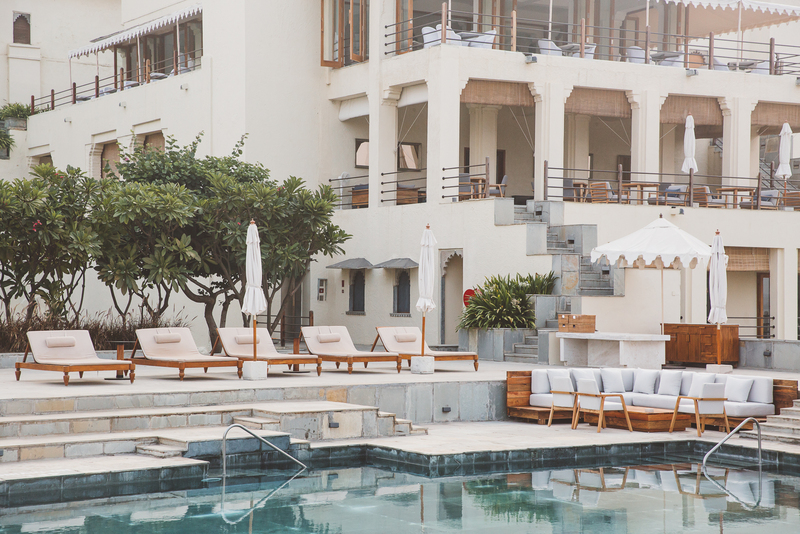 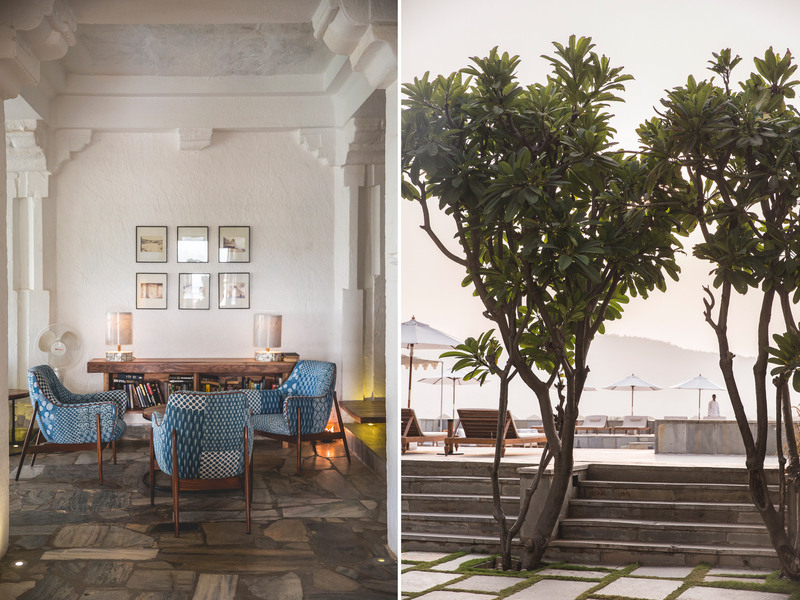 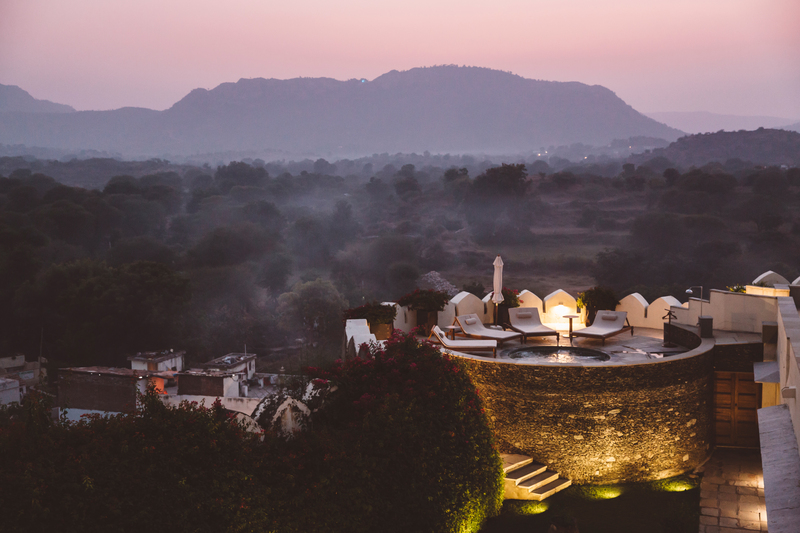 Thoroughly renovated in 1999, this romantic and magical hotel looks like the set of a classy and sophisticated Bollywood film. 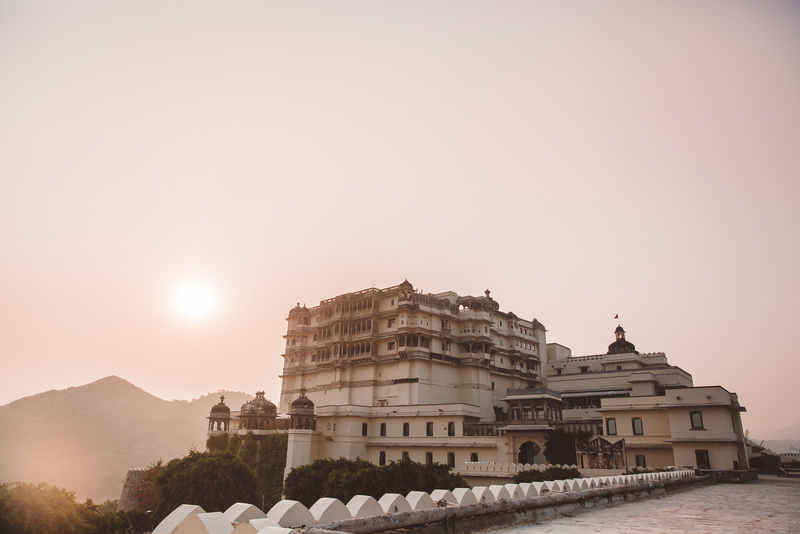 Imposingly grand with its ramparts, turrets and balconies, elegant courtyards and marble finishes. 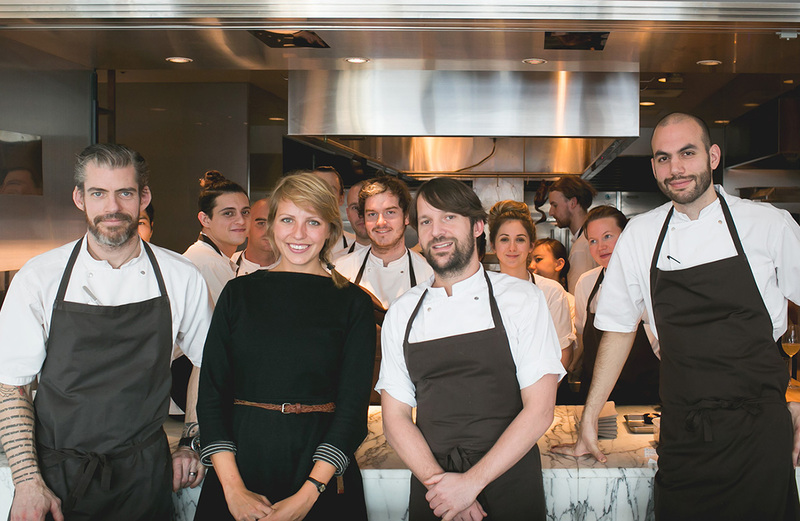 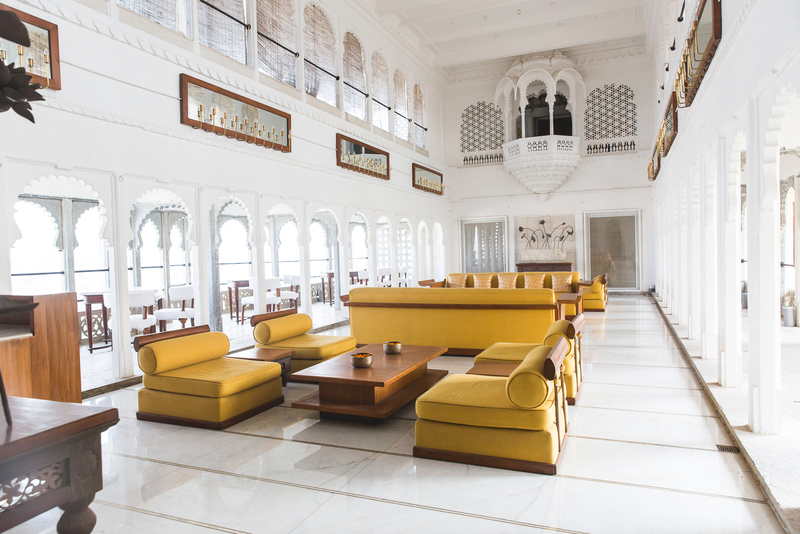 But it’s not pretentious with its contemporary, minimalist and elegant interior. 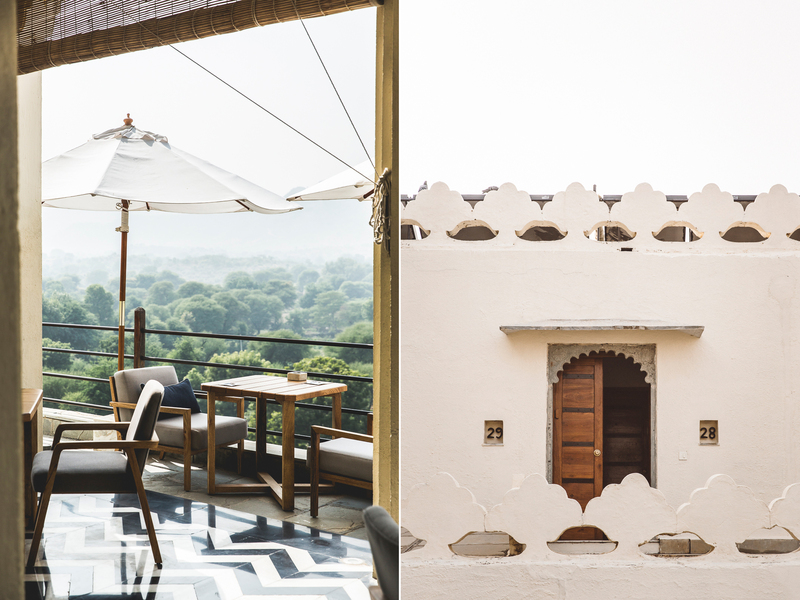 A good blend of new-world comforts and old-world charm. 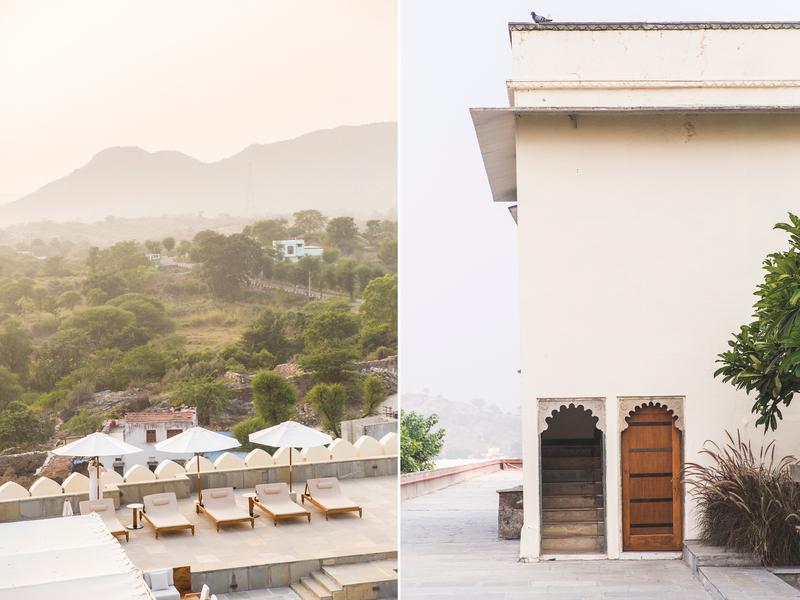 The suites at RAAS Devigarh are, all unique, definitely palatial, and mine had a bathroom as big as my apartment in Rotterdam. 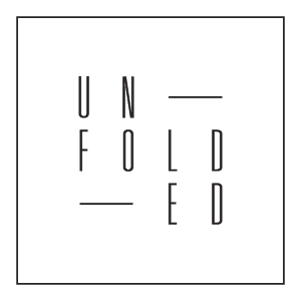 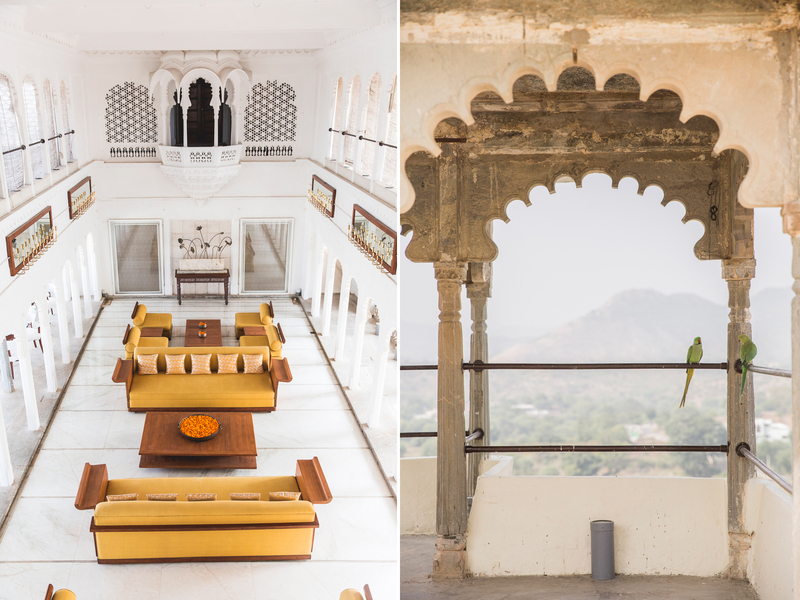 The property is a place to explore and to wander around in for hours to find all the hidden balconies, playing rooms and secret swimming pools. 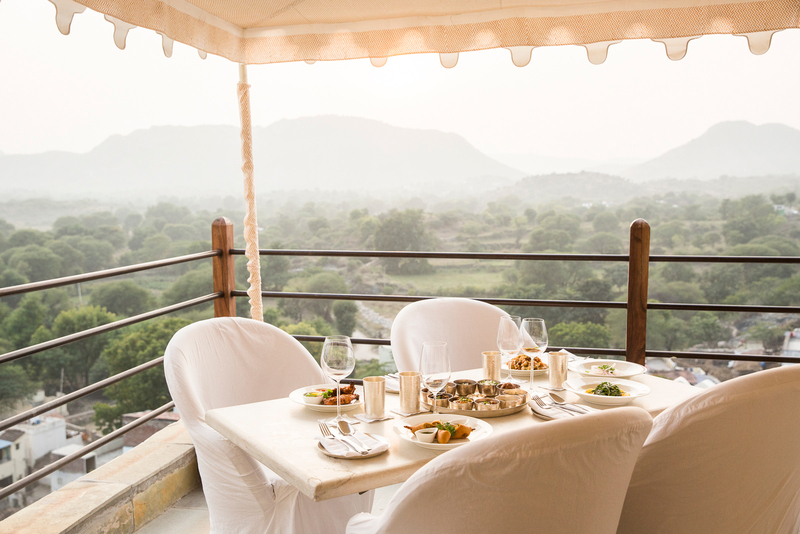 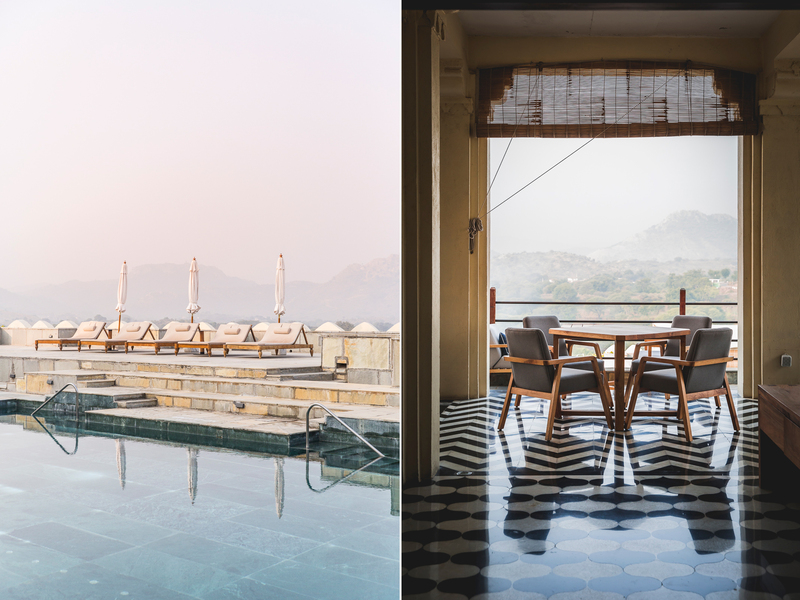 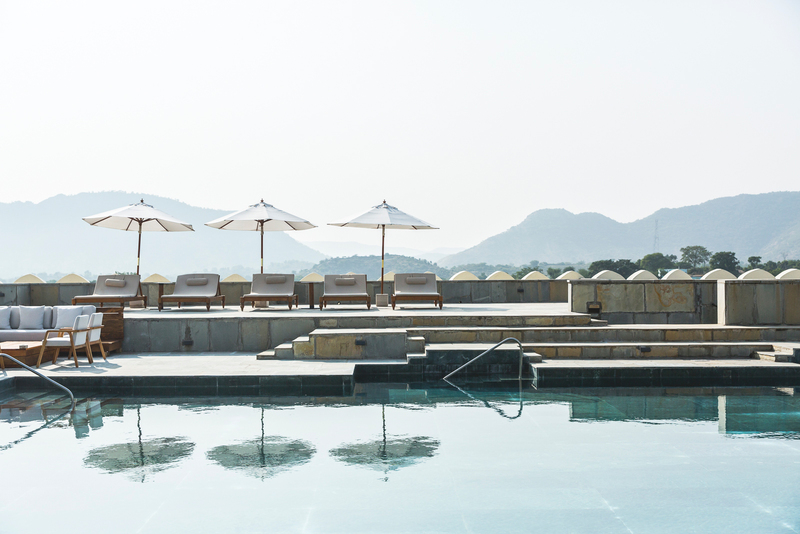 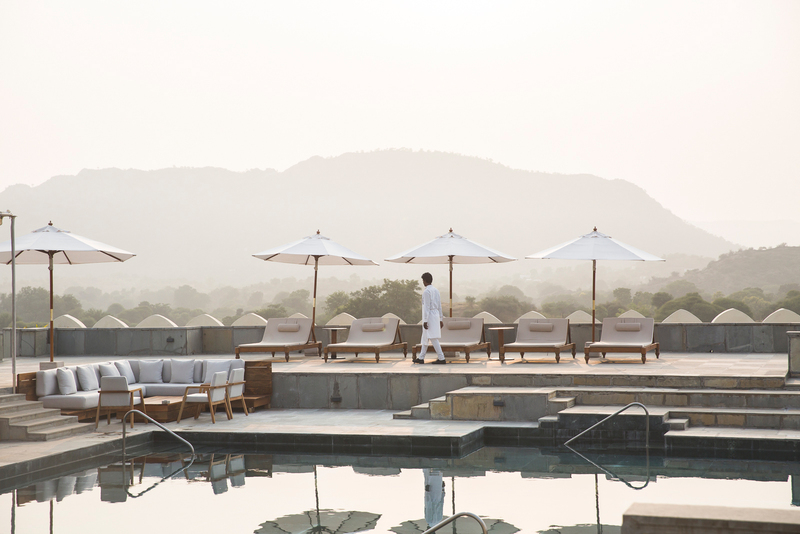 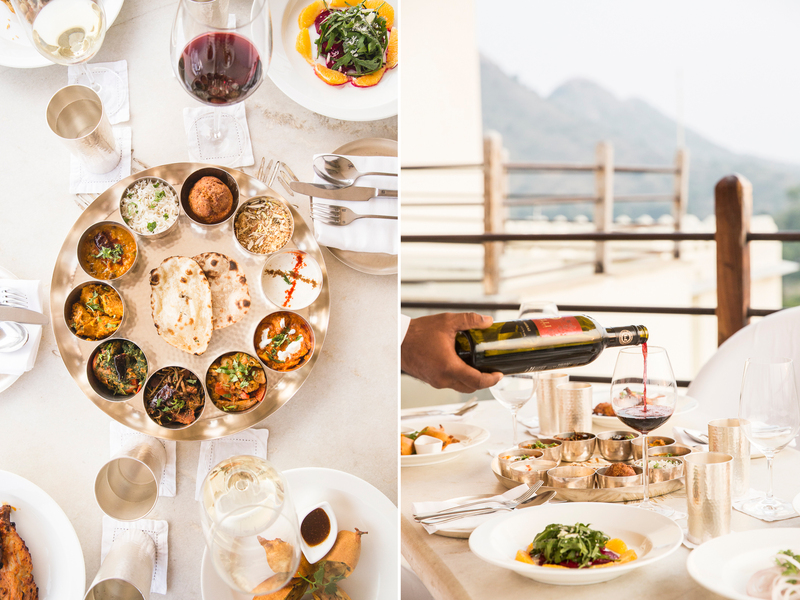 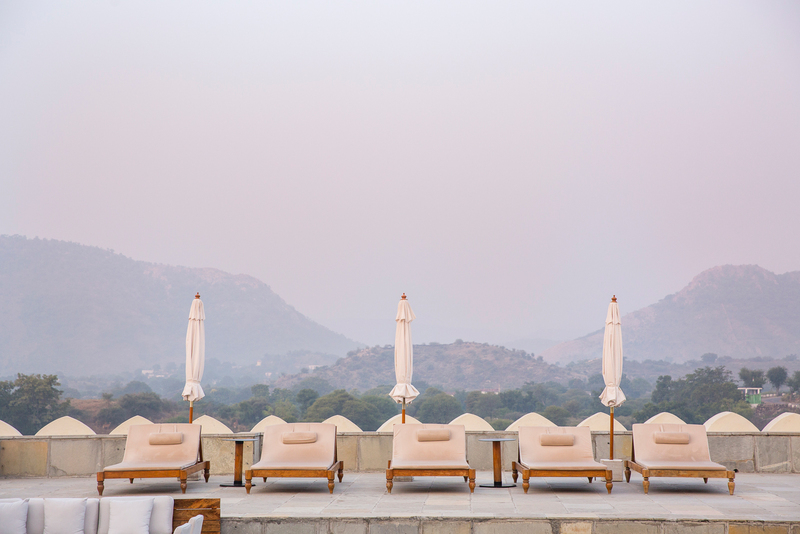 Private dining is possible wherever you want in the palace though a supper in the main restaurant with views over the hills to the tiny Delwara village below is already pretty spectacular. 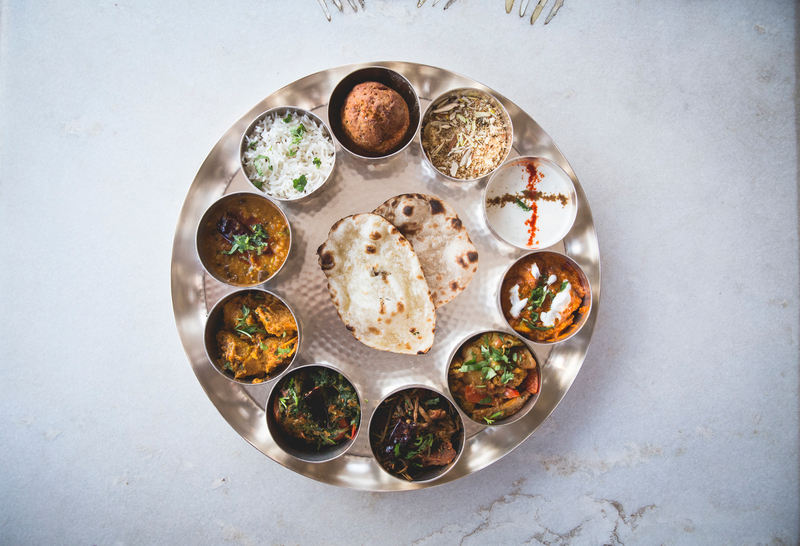 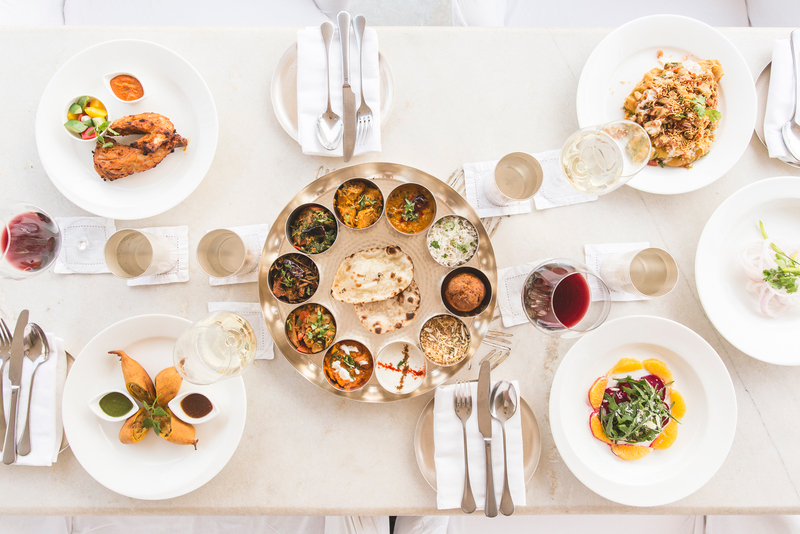 Go for the thali on the menu, a famous Indian meal made up of a selection of various dishes. 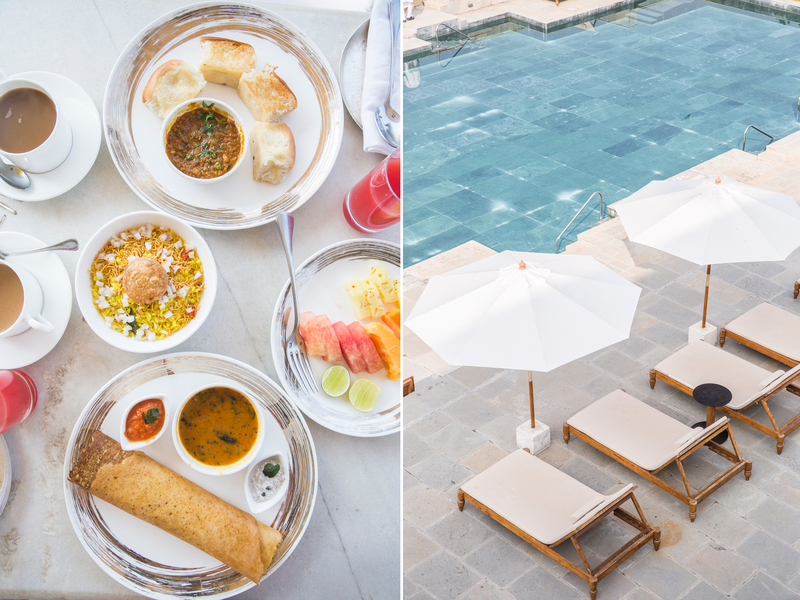 The Indian breakfast selection also is something to look out for with my favourites like the Aloo gobi (Indian flat bread stuffed with cauliflower, served with yoghurt) and the delicious masala dosa (sort of Indian stuffed crepe with sambar and coconut chutney on the side). 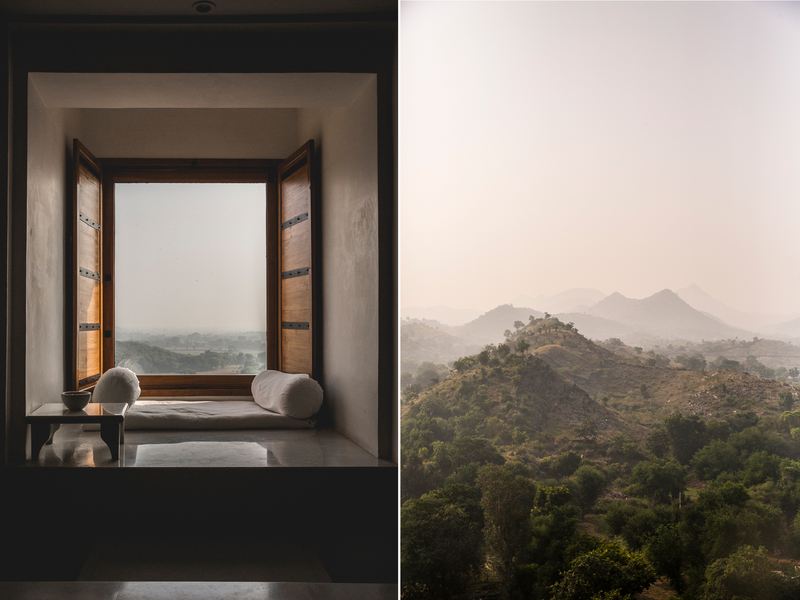 I already thought Raas itself is peaceful and relaxing enough but if you need even more you can nip down to the wellness centre for some luxurious Ayurvedic treatments. 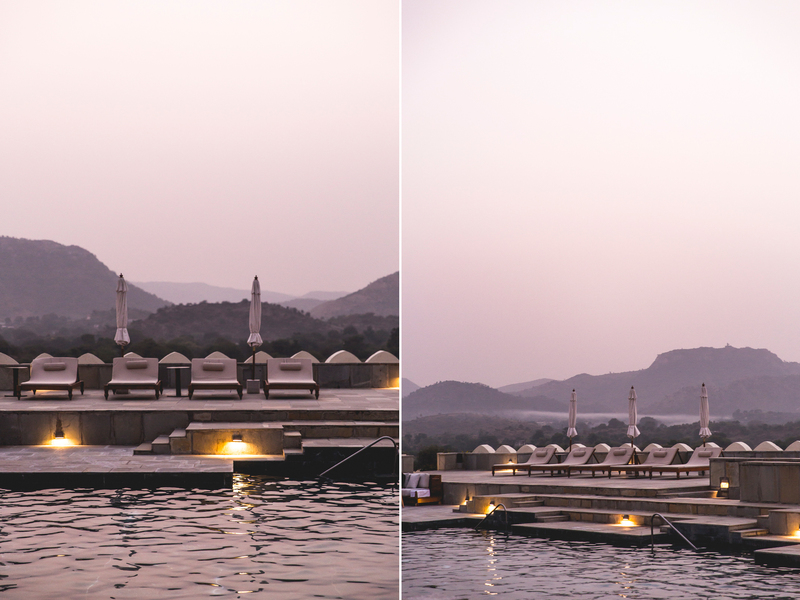 The serenity at the green marbled pool and the beguiling outdoor hot tub with again that amazing view already did it for me. 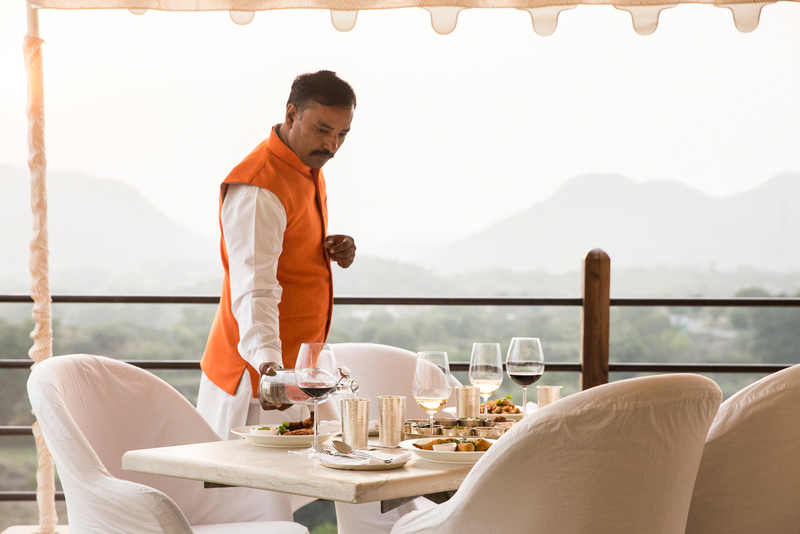 The welcoming Nikhilendra Singh with his beloved Jack Russel and the service of Mr. Singh’s kind staff completed this breathtaking experience in one of the most beautiful places I’ve ever been. 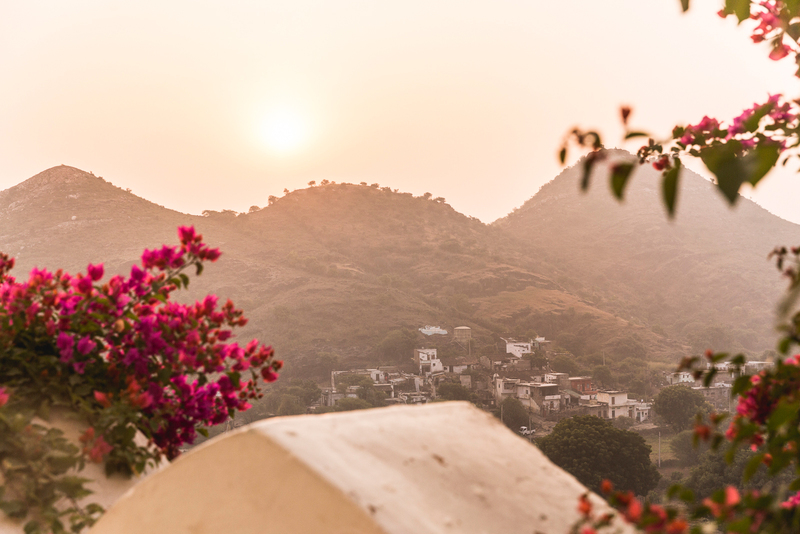 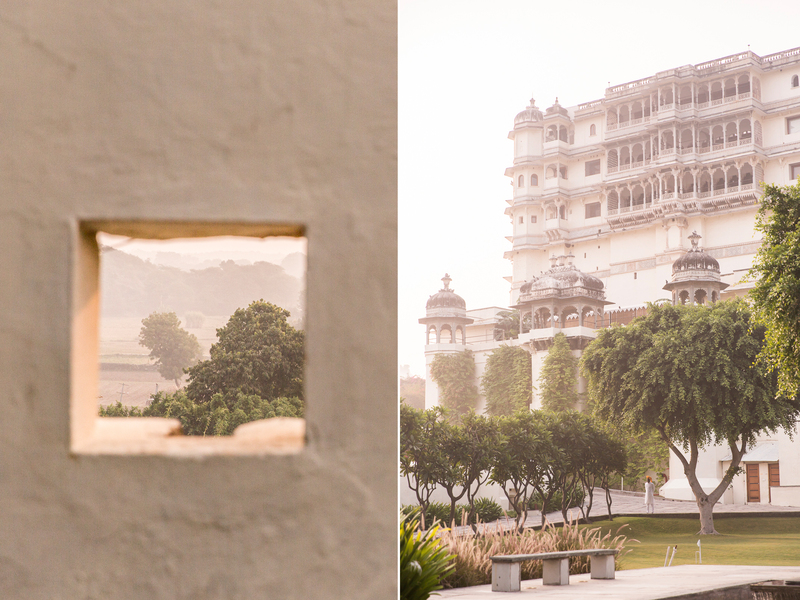 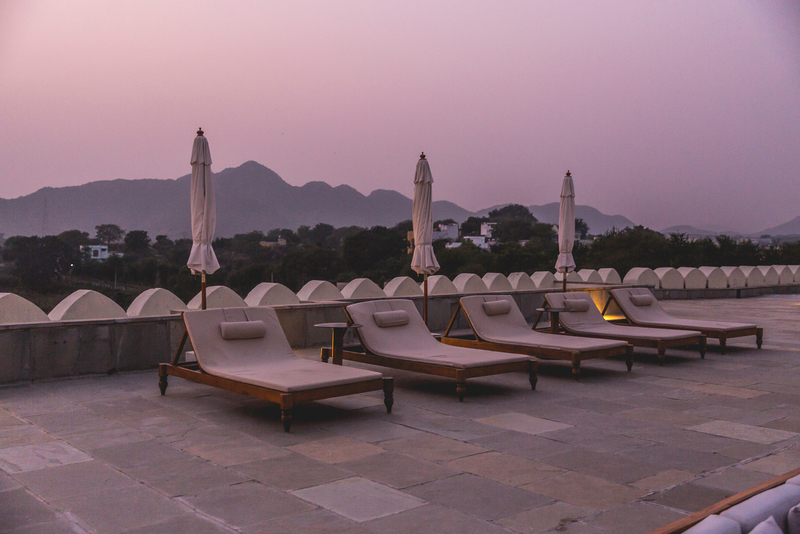 Many former kings of Rajasthan have converted their forts to heritage hotels. 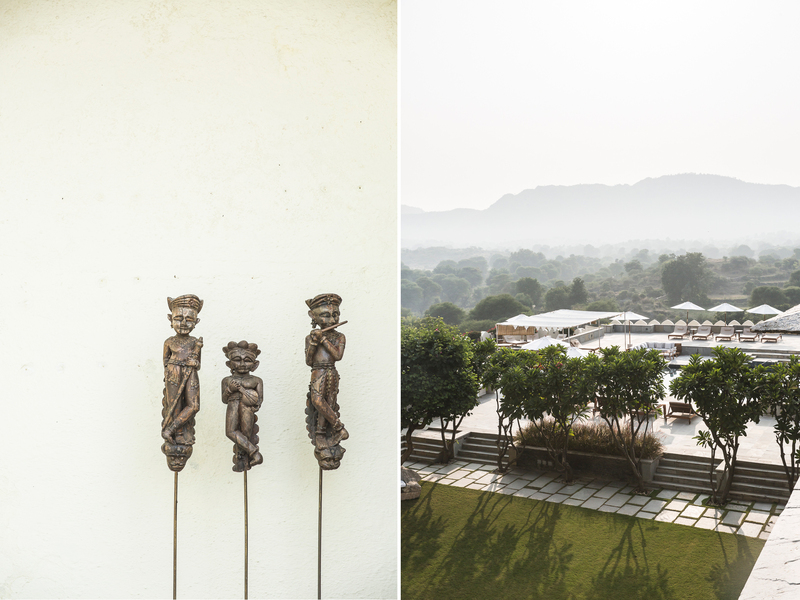 Raas Devigarh was constructed by the right hand of respected great warrior king Maharana Pratap. 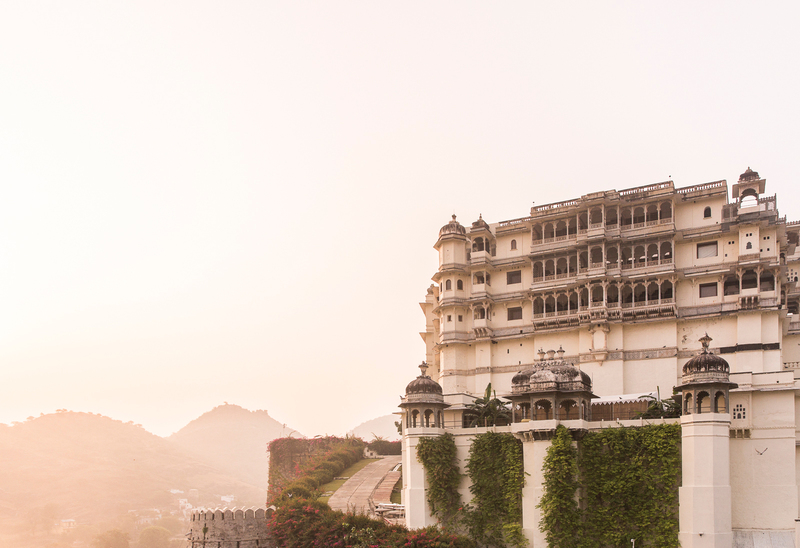 Rajasthan Tourism department also has in its possession some of the great Forts in India which it runs as a hotel.